The Newcastle-based Texan inspired condiment firm The Sweet Beet has today unveiled its new website and re-branded products as it looks to transform and disrupt the nation's food industry this summer. Founded by the Texas-born come North East native Lizzy Hodcroft, the company has also revealed that it expects to turnover £200,000 at the of the financial year despite only trading for 8 months and will look to recruit up to three new members of staff to fulfil its ambitious growth plans. 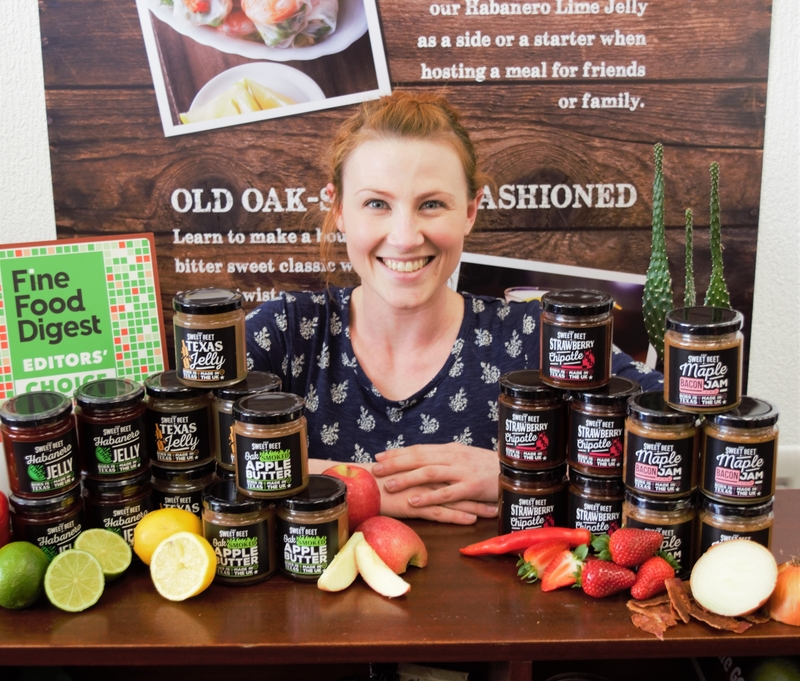 Miss Hodcroft - a former chef who was awarded Young Entrepreneur of the Year by the North East Business Woman of the Year Awards in 2017 and is a former chef - has overseen massive demand for its products, which are now available in over 60 farm and deli stores nationwide as well as the nation's largest online supermarket, Ocado. With plans to export into Europe, the Middle East and China on the horizon and aspirations to appear on the shelves of leading speciality food stores in the next 12 months with n, the future is looking bright for The Sweet Beet. Reacting to the re-brand of the company and a busy summer campaign ahead, Lizzy Hodcroft, said: “The Sweet Beet intends on becoming a leader in the food industry for innovation in the condiment sector, showcasing our my keen eye for taking risks to discover and utilise my unique palate for new flavour combinations. “We have gone from strength to strength, inspiring home cooks across the country with the confidence to explore in their own kitchens, whilst I experience the excitement and passion of entrepreneurship. I am honoured at being recognised as one of the rising stars of the industry. In early May 2018, The Sweet Beet received national airtime when BBC 2's culinary expert Nigel Barden put the company's Habanero Lime Jelly through its paces. And with an on-going dedication for entrepreneurship and inspiring the next generation of would-be founders, Lizzy has also been invited to speak at Newcastle Start-Up Week in May and will also be judging appearance at the Quality Food Awards August. “The Sweet Beet is actively seeking investment to spend on bringing staff into the business, production demand and marketing. The Sweet Beet are always keen to develop new products and work with great customers to bring their war on the mundane to the masses. © Copyright 2019. The Sweet Beet.